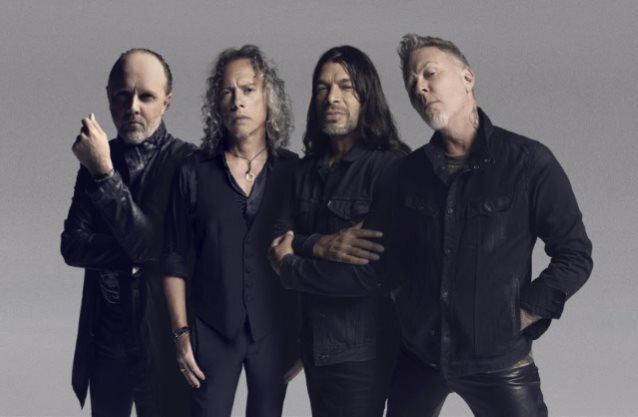 METALLICA will perform at Band Together Bay Area, a benefit concert at AT&T Park in San Francisco on Thursday, November 9 supporting recovery efforts for the recent firestorm that swept through Northern California. Also scheduled to appear are G-Eazy and DAVE MATTHEWS BAND. Tickets, which range from $49.50 to $199.50, will go on sale Friday via Ticketmaster, which has pledged to donate all processing fees to the relief effort. Prime seats in the stadium will be reserved for first responders, volunteers and families who were caught in the firestorm. They explained: "Earlier this month Northern California, the community that we have called home for over thirty-four years, endured devastating wildfires. We're extremely saddened by the suffering that so many are feeling in the Bay Area, but are also inspired by the enormous outpouring of love and support from all around the country."